SW1200/1600 welding line for H-profile steel is a new technical product that integrates mechanical, electric , and pneumatic technologies. The machine, using advanced technology of single-arc double-wire welding, greatly increases the product efficiency. 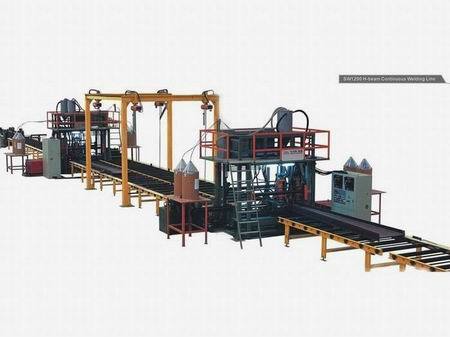 It consists of welding machine, position fixing machine and conveyer.